I get quite a few tracks/EPs sent to me to write about, however among work for university I sadly don't get chance to check it all out - I was pleasantly surprised when I found a track from Welsh rockers The People The Poet in my inbox! Four years ago in 2012, they were supporting Charlie Simpson on tour alongside Sam Beeton and I caught the show in Birmingham, it was the first gig I had an AAA pass for so it is a very fond memory, and I remember enjoying the bands set. There's also a lovely impromptu cover of Paul Simon's You Can Call Me Al that Sam and TPTP filmed backstage at another of the shows on the tour. Described by Tom Sarig (Twin Atlantic and Gaslight Anthem manager) as the best music the band have written, the upcoming EP also features the tracks Matchday and When The Fire Goes Out which have received radio play from the likes of Huw Stephens and Dermot O'Leary. Having just listened to the full EP, I can heartily recommend taking a listen when it is released next week. It's a pretty varied set of tracks so I'm struggling to give a "if you like this... you might like it" style recommendation, but they're predominantly a rock band, with the press release for the EP highlighting comparisons between the tracks to artists such as Manic Street Preachers, The Killers, Snow Patrol, Bruce Springsteen and Pearl Jam - an eclectic bunch! 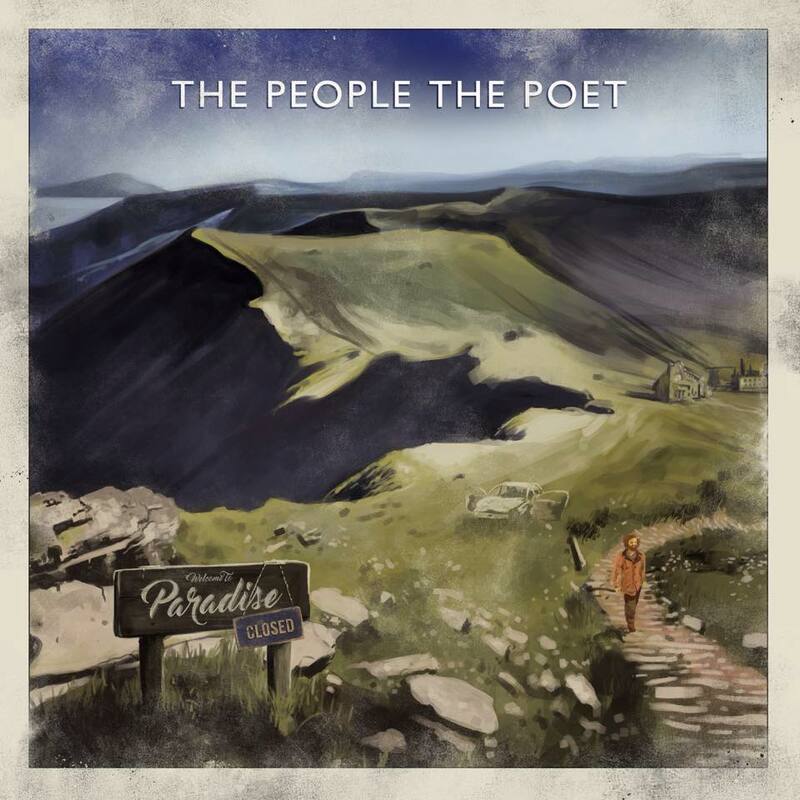 The People The Poet play a hometown EP release show at The Muni in Pontypridd on 1st April, and you can pre-order the Paradise Closed EP through iTunes here.